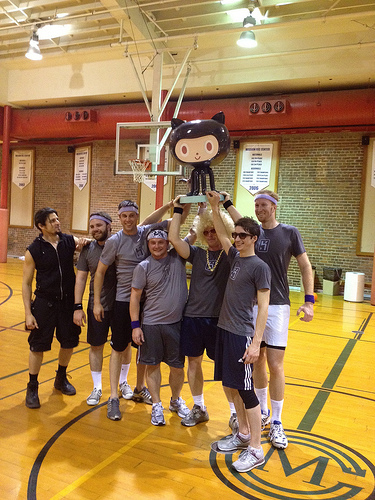 In an attempt to throw balls at their enemies and raise money for charity, the San Francisco based company GitHub hosted their First Annual Dodgeball tournament. Seventeen teams signed-up and each pitched $3,000 into the charity pot for a fun, friendly afternoon of dodgeball. The first place winning team Heroku, a cloud application platform, won the tournament which meant the bulk of the donations - $28,500 - were donated to Heifer. Heroku founder, Adam Wiggins said, "We chose Heifer because of its unique approach to improving the lives of the world's poor. By providing a sustainable source of food and income, it empowers the recipients of aid to build their own futures." 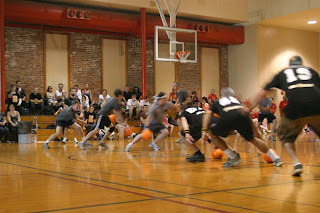 The Heroku team, "Dodging-Samurai-42," on the left in grey. 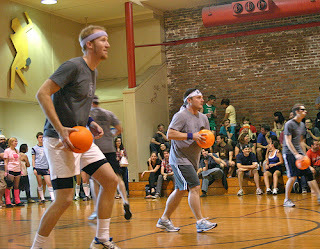 by throwing foam balls of fury. Congratulations and a big thank you to Heroku! 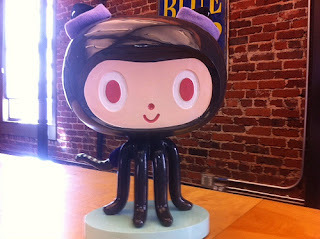 Also, a big thank you to GitHub for such a creative fundraiser!